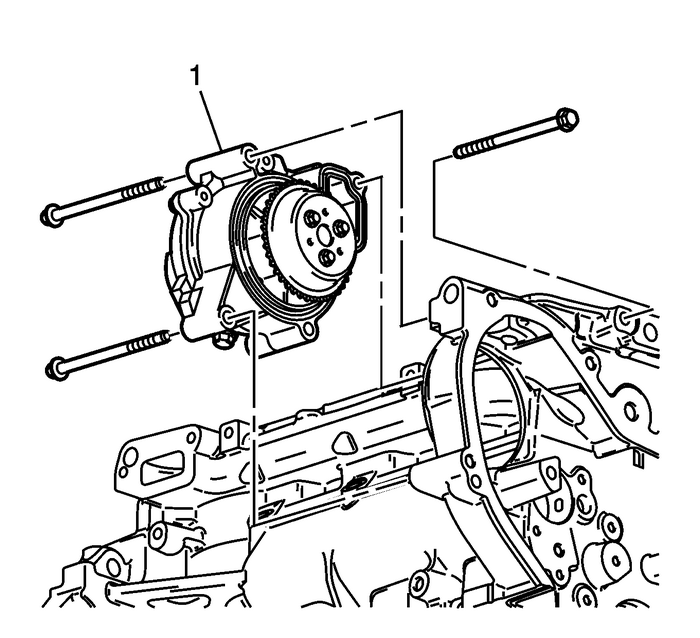 Prior to installing the water pump, read the entireprocedure. Pay special attention to avoid part damage and to ensureproper sealing. Install the water pump assembly-(1).Install the water pump bolts. Finger tighten thebolts. Tighten the water pump bolts to25-Y-(18-lb-ft).Apply sealant to the water pump drain plug. 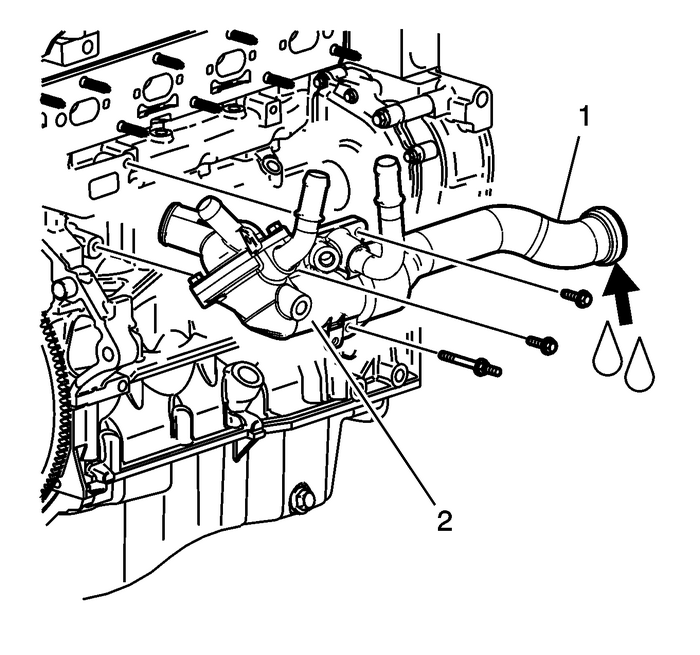 Refer toAdhesives, Fluids, Lubricants, and Sealers.Install the water pump drain plug, if necessary. Tighten to20-Y-(15-lb-ft). Install the water feed tube-(1).Lubricate the feed tube O-ring withantifreeze.Install the water feed tube by twisting and pushing towardthe water pump. Take care not to tear or damage theO-ring.Install the thermostat housing-(2) to block boltsand stud and tighten to10-Y-(89-lb-in). 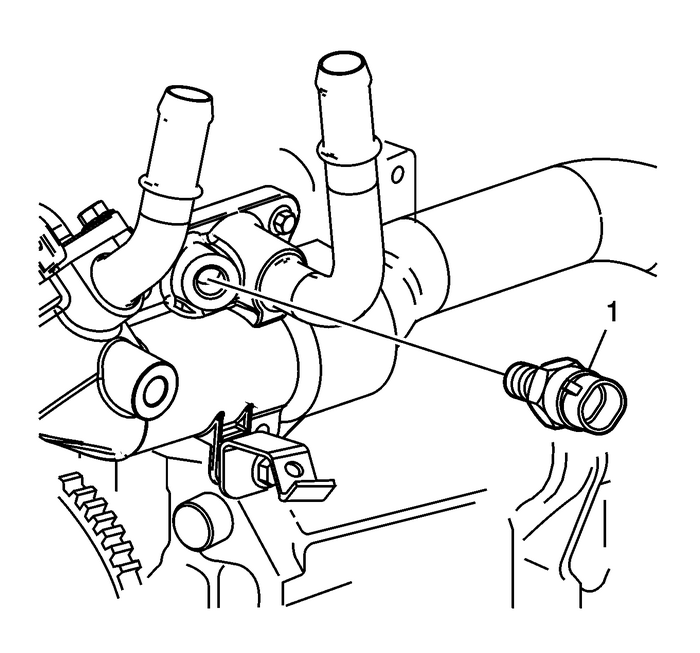 Install the engine coolant temperature sensor-(1)by hand.Tighten the engine coolant temperature sensor and tighten to20-Y-(15-lb-ft).